I would be ALL OVER the Ben & Jerry's factory, it is my favorite! It's so great you're already making new friends in Vermont and connecting with old friends too! Glad to hear your first week and day off of work was great! Nothing better than absolutely loving what you are doing! Also I love the marble laptop cases! The one your purchased is so cute and so are the similars you linked! You had me at ben and jerrys, of my goodness that is like heaven!! I'm so glad to hear you're enjoying your new job! 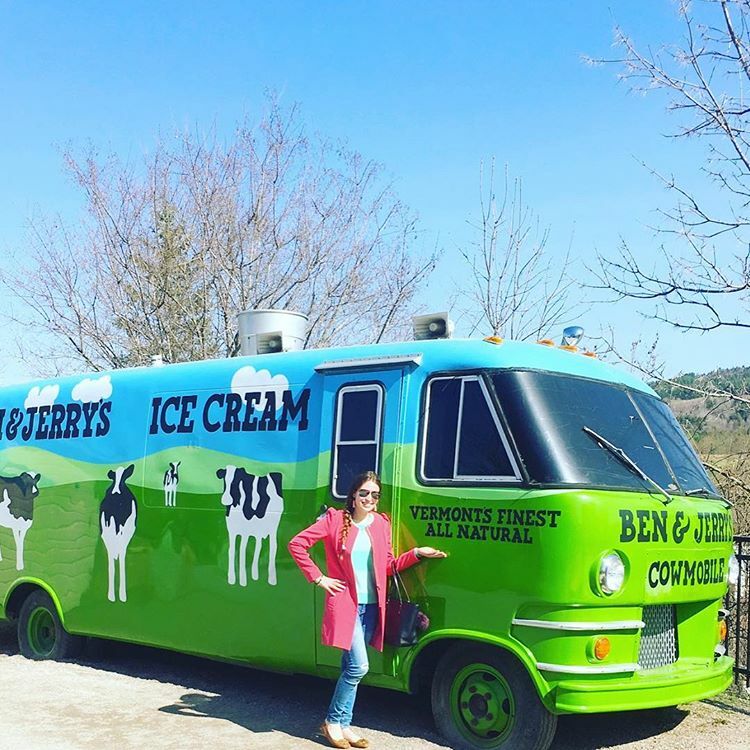 And um, that Ben and Jerry truck? YES PLEASE! Haha! Reconnecting with old friends is awesome! Also, I'm coming to visit you so we can go to Ben & Jerry's because yum. Omg... that's an interesting work schedule... so cool!! So happy you like your new job! Also that lost store wounds amazing! Can't wait to see what you do! Ben and Jerrys is SO yum!!!! I’m so jealous!! Um... love this post, but I LOVE your jacket! Glad to hear you've been enjoying Vermont so far! I would love to visit the Ben and Jerry's factory! Glad you're settling into life in VT! I would live at the B&J factory! Yay! I am so glad your first week went so well. Ummmm, I need to go to the ben and jerry's factory! They make my favorite ice cream. The Ben & Jerry's factory looks awesome! So glad that your job is going well! Also love that phone case!